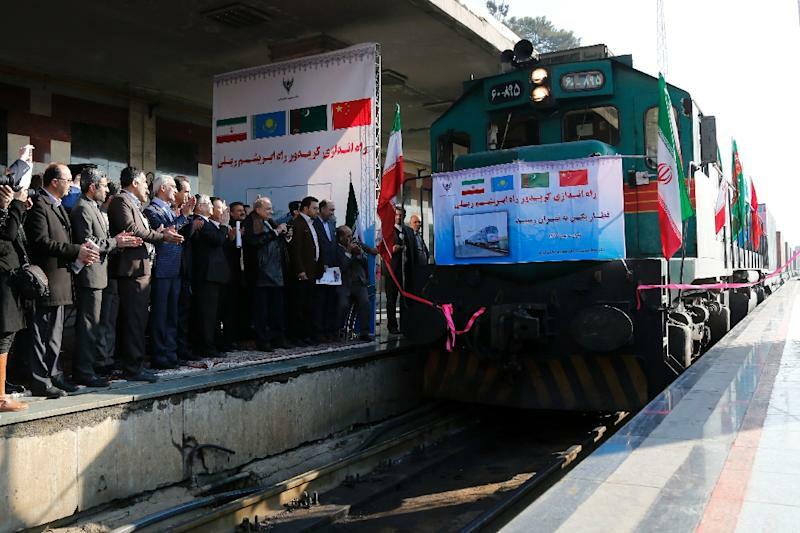 Tehran (AFP) - The first train to connect China and Iran arrived in Tehran on Monday loaded with Chinese goods, reviving the ancient Silk Road, the Iranian railway company said. 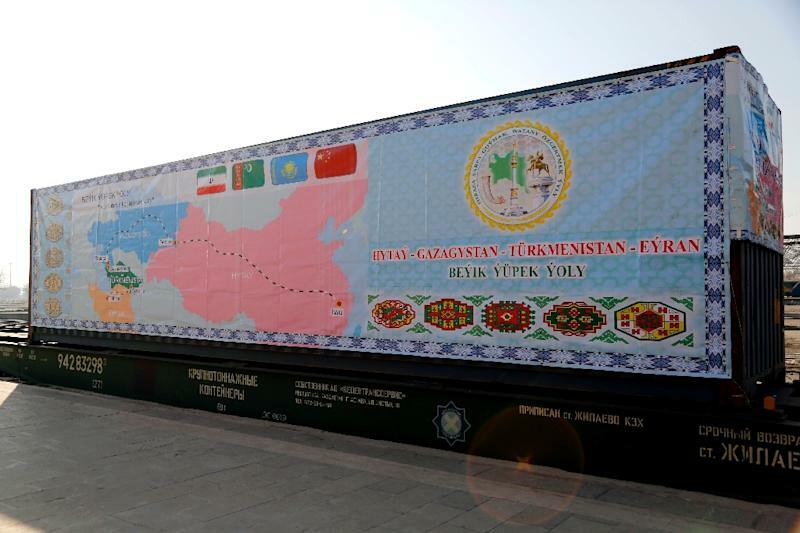 The train, carrying 32 containers of commercial products from eastern Zhejiang province, took 14 days to make the 9,500-kilometre (5,900-mile) journey through Kazakstan and Turkmenistan. "The arrival of this train in less than 14 days is unprecedented," said the head of the Iranian railway company, Mohsen Pourseyed Aqayi. "The revival of the Silk Road is crucial for the countries on its route," he said at a ceremony at Tehran's rail station attended by the ambassadors of China and Turkmenistan. The journey was 30 days shorter than the sea voyage from Shanghai to the Iranian port of Bandar Abbas, according to Aqayi. The railway will not stop in Tehran "as we are planning to extend the railway to Europe in future," generating more income for Iran from passing trains, he added. The train will leave every month and the frequency will be increased if necessary, Aqayi said. The train is run by private companies using existing routes, Iranian railway company spokesman Sadegh Sakari told AFP. According to Iranian media, more than a third of Iran's foreign trade is with China, which is Tehran's top customer for oil exports. Chinese President Xi Jinping and Iranian President Hassan Rouhani agreed last month to build economic ties worth up to $600 billion within the next 10 years. It came during a visit to Iran by Xi, the first by a Chinese president in 14 years, and just days after sanctions against Tehran were lifted under a historic nuclear deal with world powers. Xi's signature foreign policy initiative known as "One Belt One Road" is touted as a revival of ancient Silk Road trade routes. The Silk Road is an ancient network of commercial land and sea routes, named for the lucrative Chinese silk trade, that were central to business across the Asian continent connecting China to the Mediterranean Sea.